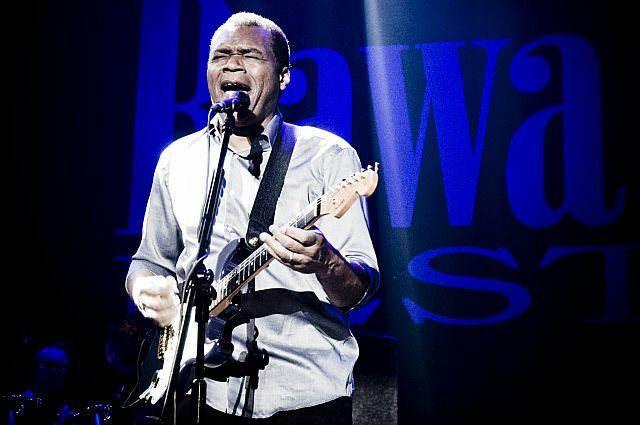 Robert Cray Band will be playing play with the full line up during Rawa Blues Festival, just a month after the worldwide premiere of his new album “Nothin But Love”! Robert Cray started his music adventure in his teens. During his school years he learnt to play the music of his guitar heroes Jimi Hendrix and Steve Cropper. Among other influences he lists BB King, Albert King and Magic Sam. The American guitarist and singer was born in 1970 in Fort Lauderdale, Florida. He was able to play the guitar at the age of six. Despite being left-handed Eric began playing right-handed which was a major factor in the formation of his unique style and unusual techniques. The singing and piano playing Davina Sowers, the leader of the band, comes from the industrial city of Altoona in western Pennsylvania. Her mother was a folk singer. Davina’s stepfather introduced her into the world of old blues and jazz recordings by playing it off an old Victrola gramophone. According to Down Beat magazine Roomful of Blues "are in a class by themselves." So there is no wonder why even the great Count Basie called them "the hottest blues band” he has ever heard. Since 1967 the band whose sound is of swing, rock'n'roll, soul and blues origin has received numerous recognition awards; among others five Grammys and seven Blues Music Awards (Best Band in 2005) to name just a few. Apart from the American guests and Irek Dudek Big Band the following bands are going to play on the Main Stage of the 32nd edition of the Rawa Blues Festival: Union of Blues, Dr. Blues & Soul Re Vision, Harmonijkowy Atak. Apart from that two of the Side Stage bands are going to be invited too: the winners of the internet competition and traditionally the band chosen be the audience on the day of the festival. The Big Stage show sets off at 3 p.m. The Side Stage hosted the following bands: Banda Band, Marek "Makaron" Motyka, Two Timer, Arek Zawiliński i Na Drodze, Heron Band, Bez Wat, Blue Band Blues, The Blues Expierience and Around The Blues.